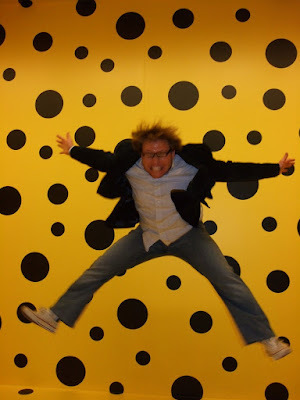 Jumps for Joy: Japan Culture+Hyperculture Jumping! Thanks to Jessie Elisberg for sending me these amazing pictures! Jessie and Matthew Konopka jumped for this installation (anyone know who made it??) at the Japan Culture+Hyperculture exhibition at the Kennedy Center a few months back. 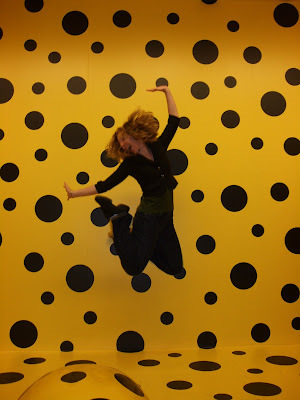 * Thanks for the comments- artist is Yayoi Kusama.